Nice boxing gym with ring in Russia. International Film Star, Jet Li, accompanied by members of the China World Champion Wushu Team, Chinese Wushu Association and International Wushu Federation, visited the NYSE. The World Wushu Champions will be in New York for a performance at the United Nations. In honor of the occasion, Jet Li, joined by Mr. He Qinglong, Vice President of the Chinese Wushu Association and Mr. Zhang Yuping, Chief of the International Wushu Federation Secretariat and CWA Foreign Affairs Department, along with several Wushu Champions, rang The Closing BellSM. The Chinese Wushu Association was established in 1958. It is under the Chinese State Commission for Physical Culture and Sports and is the organization which regulates martial arts training throughout China. In addition to being a national sport in China, Wushu is part of the national program for health and fitness and is taught in high school and university. The International Wushu Federation (IWUF) was established in 1990 and holds the World Wushu Championships every two years. It is also responsible for efforts to qualify Wushu as an Olympic sport. The IWUF's application for Chinese Martial Arts to be recognized by the International Olympic Committee (IOC) was prepared in Hong Kong in November 1998. The IWUF was accepted into membership of the General Assembly for International Sports Federations (GAISF) in 1995, which is the first step. The second step to reach the criteria set by the IOC is to have Wushu represented in a minimum of 73 countries, spanning 4 continents. Currently, the IWUF has 78 countries in membership, spanning all continents (Asia, North America, South America, Europe, Africa and Oceanic States). Many practitioners and fans of Wushu have high expectations that Wushu will one day soon be accepted as an official Olympic sport. Note: “Wushu” is Chinese for martial arts. Wushu demonstration organized by the IWuF (International Wushu Federation) for members of the the IOC (International Olympic Committee) as part of their bid to have wushu in the 2008 Beijing Olympics. The demonstration is performed by members of the Henan Wushu Team and the (then) Chinese National Wushu Team. This performance took place on October 19, 2006 during the 2nd World Traditional Wushu Festival held in Zhengzhou, Henan, China. of all ages to continue the practice of the sport of wushu and it can also better promote and develop the wushu all around the world. I very much look forward to welcoming you all in July in Rimini. Italian Wushu Kungfu Federation under the high patronage of the Italian NOC. National, regional or local (club) Wushu organizations of countries or regions all over the world are invited to participate in the competition. Note that, in accordance to the International University Sports Federation (FISU), participants of International Wushu University Championships have to be students who are currently officially registered as proceeding towards a degree or diploma at the university or similar institute whose status is recognized by the appropriate national academic authority of their country, or former students who have obtained their academic degree or diploma in the year 2011. The competitors, as indicated by the International University Sports Federation (FISU), must be born between January 1st, 1984 and December 31st, 1994. 1. Taijiquan Style: Chen, Yang, Wú, Wu, Sun and other traditional Taijiquan (please specify the style in the entry form). 2. Nanquan Style: Yongchunquan, Wuzuquan, Cailifo, Huheshuangxing, Dishuquan and other Nanquan styles (please specify the style in the entry form). 3. Other Quanshu: Xingyiquan, Baguazhang, Bajiquan, Tongbeiquan, Piguaquan, Fanziquan, Ditangquan, Xiangxingquan, Chaquan, Huaquan, Paoquan, Hongquan, Huaquan, Shaolinquan, Wudangquan, Emeiquan and the traditional routines of other Quanshus (please specify the Quanshu and routine in the entry form). 1. Single Weapon: Broadsword, Sword, Staff, Spear, Pudao, Fan, Dagger, Whip, Walking Stick (Zhang), Club (Bang), Cane(Guai), Shovel(Chan), Fork, Taijijian, Taijidao, Taijiqiang, Nandao, Nangun and other apparatus. Forms Taijiquan, 42 Forms Taijijian, Nanquan, Nandao, Nangun (International Competition Taolu). Those traditional wushu events with 3 or less competitors may be grouped together under General Quanshu or General Apparatus for men and women. Each team (National team, regional team and club) shall have only 1 team leader, 1 coach and 1 team doctor; the number of athletes is 10 (any mixture of boys and girls is allowed). Competitor may at most enter 3 competition events (Selected from and not exceeding 1 barehanded routine, 1 short weapon routine, 1 long weapon routine ). a. The Competition shall be individual competition. b. The modern wushu competition will be conducted in accordance with the newest edition of the “Rules for International Taolu Competition” endorsed by the IWUF. c. The traditional wushu competition shall implement the latest “Competition Method of Traditional Wushu Taolu Competition” endorsed by the Chinese Wushu Association. 1. Bare-handed and apparatus routines shall be less than 2 minutes. 2. Taijiquan shall be 4-6 minutes. The head judge will blow a whistle when the athlete performs to 5 minutes. 3. Taiji apparatus routine shall be less than 3 minutes. The head judge will blow a whistle when the athlete performs to 2 minutes. i. Competitors shall wear required taolu competition costumes during all the events. ii. All equipment and facilities at the competition and training sites must be in conformity with the Competition Rules. iii. Competitors shall bring their own competition apparatus for their respective events. The Final Entry Form with events and names of the competitors must reach the FIWUK Secretariat, by e-mail (international@fiwuk.com) no later than 25th of September 2012 (24:00GMT). All athletes shall provide valid insurance and medical documents as listed in the IWuF Wushu Competition regulations. Participants are responsible for they own transport, accommodation and food (See the application form for more information). The IWUF has presented our proposal to include Wushu in the Olympic Games in 2020 to the Olympic Programme Commission of the International Olympic Committee (IOC) on December 19th, 2012 in Lausanne, Switzerland. The Olympic Programme Commission will evaluate the candidate sports and make its recommendation to the IOC Executive Board. Our team has presented the evolution of our organization and the added-value that we would be able to bring to the Olympic Movement if Wushu were included in the Olympic Games. We laid out the structure of the events that we would like propose to the IOC, as well as how we can guarantee a fair play. A World Champion told her personal story and expressed her eagerness as an athlete to participate in a real Olympic Games competition. Our presentation started with a 5-minutes video, followed with a 15-minutes presentation and ended with a 10-minutes Q & A session. According to IOC’s rule, each International Federation can send a maximum of 6 people to the presentation. The IWUF’s presentation team was composed of President Mr. Zaiqing YU (CHN), Vice-President Mr. Raymond SMITH (GBR), Vice-President Mr. Anthony GOH (USA), Referee Representative Mr. Byron Jacobs (RSA), Technical Representative Mr. Luc Bendza (GAB) and Athlete Representative Ms. Daria Tarasova (RUS). All the international federations of the IOC short-listed sports will be invited to do a second presentation to the IOC Executive Board in May 2013, after which, the IOC Executive Board will propose one of the sports to the IOC Session to be held in September 2013 in Buenos Aires, Argentina for its approval. The other six sports on the IOC short list are: Baseball and Softball, Wakeboard, Climbing, Roller Skating, Karate, and Squash. As only one of the seven sports will be selected for the 2020 Olympics, the IWUF is fully aware of the challenges that lie ahead of us. The IWUF will continue its best efforts in presenting wushu to IOC and its relevant committees, ensuring them that wushu is a mature and qualified sport for the 2020 Games. UKRAINE: Our savate Ukrainian european champions didn't want to present savate? In savate sport there are people who really love and train savate (not kickboxing) and do everything for its promotion. For a kickboxing promotion? No ... for the savate promotion. The 2012 Ukrainian Combat Games (UCG) was successfully held on December 15, in Kiev, Ukraine. The Ukrainian Combat Games (UCG) is a comprehensive sport event which brings together a great deal of fans of martial arts, sport and healthy lifestyle. The UCG 2012 staged spectacular competitions of martial arts such as Kickboxing, Wushu, Karate, Muay Thai, Sumo, Pankration, Belt Wrestling, Sambo, Jiu-Jitsu and Free-Fight. Nearly 100 elite athletes fought for championship on four different sections: ring doho, mat, wushu platform and carpet. Among them there are masters of sports, winners and medalists of Ukrainian, European and World Championships, as well as participants and winners of the World Combat Games 2010 in Beijing. The Ukrainian Combat Games is the highest rating and most prestigious competition of martial arts in Ukraine that are in full compliance with the rules and regulations of each of the participating sport. The UCG-2012 includes qualifications and final battles. Qualifications were held simultaneously on all platforms, and the final battles were on each of them in turn. The UCG is a cultural project, too. Its main message is to promote martial arts, healthy lifestyle and sport in general. The Ukrainian Wushu Federation helped with the organization of the events, thanks to the generous support and efforts of the Sports Committee of Ukraine and the Ministry of Youth and Sports. During the event, the best coach in 2012 was awarded to Oleg Chukanov, wushu coach, and President of the Ukrainian Wushu Federation. He received the award from Mr. Illia Shevlyak, President of the Sports Committee of Ukraine. Победы единоборцев из России на чемпионатах мира и континента в минувшем году позволили получить 38 лицензий на участие во Всемирных играх боевых искусств-2013. Обладателями путевок на соревнования стали представители спортивной борьбы, джиу-джитсу, кикбоксинга, савата, сумо и тайского бокса. Все основные отборочные старты должны завершиться в мае. Отбор на Всемирные игры боевых искусств-2013 сейчас проходит по всему миру под эгидой международных федераций. Чтобы стать обладателем лицензии, спортсмену необходимо успешно выступить на континентальном или мировом первенстве. Таким образом, право участвовать в финальных соревнованиях в Санкт-Петербурге получают только ведущие мастера. Среди будущих участников соревнований – пятикратный чемпион мира по сумо Алан Караев, пятикратный чемпион мира по тайскому боксу Артем Левин, двукратная чемпионка мира по кикбоксингу Светлана Ананьева, трехкратный чемпион мира по джиу-джитсу Павел Коржавых. Как отметил Коржавых, по уровню соперников предстоящий мультиспортивный турнир стоит намного выше других стартов. «Для единоборцев это топовые соревнования, - сказал он. – Рамки отбора крайне жесткие, поэтому участвуя во Всемирных играх боевых искусств, чувствуешь намного большую спортивную ответственность за свое выступление. Чемпионаты мира по джиу-джитсу не могут передать такие же ощущения масштабности происходящего». В ближайшее время станут известны имена других спортсменов, которые будут представлять Россию на Всемирных играх боевых искусств-2013: в марте пройдут международные старты по каратэ, панкратиону и грэплингу. Грэплинг No-Gi: Зайнутдин Зайнугов (до 66 кг), Мария Шваркунец ( до 58 кг). Джиу-джитсу: Павел Коржавых (до 62), Дмитрий Бешенец (до 69). Сумо: Ацамаз Казиев (до 115 кг), Алан Караев (свыше 115), Вера Коваль (до 65), Светлана Пантелеева (до 80), Алеся Коваленко (свыше 80), Анна Жигалова (свыше 80). Тайский бокс: Залналбит Магомедов (до 75), Артем Левин (до 81), Артем Вахитов (до 91). В савате подтверждены лицензии во всех 11 категориях. In case of IOC removal of wrestling sport FILA from 2020 Olympics it is now clear that 15 Sportaccord Combat games members are true rivals and not partners including Sportaccord. Its a shame when WTF taekwondo commented - YES we are in and saved. It is better not to have Combat games and this non effective Sportaccord movement because they have no strategy no unity no orientation no partnership nothing. They are just pieces of something called martial art from Mars where their true origins of word are coming. Comme tous les ans, l'Alliance Française de Bangkok organise la Fête de la Francophonie. Cette année, elle aura pour thème la gastronomie et c'est vrai que les cuisines thaïlandaise et la française ont très bonne réputation ! Rendez-vous donc le samedi 2 février de 8h à 18h pour fêter la langue française et la gastronomie à l'Alliance Française, 29 Thanon Sathorn Tai. Au programme, pétanque, dictée, démonstrations culinaires, quiz, karaoké, exposition photos et même démonstration de savate française parce qu'il n'y pas que la boxe thaïe dans la vie, d'abord ! 09h00: Extérieur- "Questions pour un champion"
"Pédagogie et psychologie me passionnent autant que le sport proprement dit", avoue Dominique Fontanarosa, un champion du monde de Boxe qui dispense des cours de savate (ou boxe française;voir encadré) à l’Alliance et au Lycée Français International de Bangkok. À 44 ans, ce Corse de Grenoble cumule les titres mondiaux, tant en savate qu’en kick boxing. Fort cette expérience au plus haut niveau, il met l’accent sur le sens de son enseignement. "Le sport est un outil. Il ne s’agit pas d’apprendre à des enfants à se battre dans une cour d’école mais à se maîtriser". Arts martiaux et maîtrise de soi : les cyniques sourient déjà de cette vérité établie… Mais gare aux apparences ! Un champion du monde critique la boxe thaïlandaise Dominique connait et critique sans ménagement l’envers du décor de la boxe thailandaïse. "Mon séjour en Thaïlande a confirmé la valeur de tout ce que j’ai appris en boxe française. Ici, la muay thaï (boxe thaïlandaise NDRL) est un moyen de gagner sa vie. Son enseignement est empirique, sans méthodologie structurée". Selon lui les entraîneurs thaïlandais ne corrigent pas vraiment les individus et n’inculquent pas la stratégie. Une athlète thaïlandaise (voir notre article du 11 octobre 2007 Chompoo ou la passion thaïe de la boxe française) l’a compris et fait désormais confiance au champion français qui résume : "Pour eux c’est un business. Pour nous la savate est éducative". La notion d’éducation revient comme une obsession chez ce professionnel des sports de combat qui pratiquait par ailleurs le bouddhisme avant d’arriver en Thaïlande. "Le sport de combat, c’est la construction de l’individu par lui-même. Le bouddhisme c’est la connaissance de soi par soi-même". Ainsi il concilie son accomplissement sportif et sa vie spirituelle. La cohérence est cardinale pour Dominique. Elle prémunit contre les comportements hypocrites qu’il abhorre. Un regard curieux et des yeux doux En harmonie avec lui-même, le champion expatrié parle peu et observe beaucoup. Au-delà des rings de boxe, il pose un regard pénétrant sur la société thaïlandaise. Un coup de cœur pour l’humanité des habitants du nord-est rural (Isaan), "ceux qui n’ont rien et partagent tout". Il goûte moins la vie sociale à Bangkok qui lui apparaît cloisonnée. "Je trouve qu’il est difficile de se faire des amis thaïlandais. Et chez les Thaïs eux-mêmes je ne vois pas beaucoup de relations amicales". Ses observations vont parfois à l’encontre des idées reçues. Il se dit ainsi choqué par "l’agressivité qui est dans l’air". Et s’il risque l’analyse, c’est encore le pédagogue qui prend le dessus pour incriminer rigidités et conservatisme du système éducatif local. L’homme ne mâche pas plus ses mots qu’il ne marchande son engagement. Il a débarqué en Thaïlande le 30 mai 2005 avec une délégation de champions français pour un séjour éclair de dix jours. Invité par le Ministère thaïlandais des Sports, le groupe doit réaliser des exhibitions à l’occasion des Jeux Asiatiques de la Jeunesse. Mais le reste de l’équipe est finalement reparti sans lui ! Exceptionnellement Dominique a baissé la garde… K.O. face au charme d’une déléguée du Ministère des Sports venue l’accueillir à l’aéroport. Trois années ont passé et le mariage avec Nancy est à l’affiche. Le pays du sourire a tout de même le dernier mot. Erik Dezeux (www.lepetitjournal.com - Bangkok) jeudi 21 février 2008 Vos rendez-vous avec Dominique Fontanarosa à Bangkok Dominique Fontanarosa enseigne la savate au lycée français. Depuis 2002 cette appellation remplace officiellement le terme "boxe française". C’est aussi depuis cette date que les élèves du secondaire peuvent choisir la discipline comme option au baccalauréat. Son enseignement est accessible à un public plus large grâce aux sessions proposées par l’Alliance Française de Bangkok. Les personnes intéressées par une simple remise en forme ou un entretien physique sont bien venues. Pour ceux qui privilégient l’aspect cosmopolite de la vie d’expatrié à Bangkok une visite au Bangkok Fight Club s’impose. Des aficionados issus de 17 pays différents s’y côtoient pour pratiquer une gamme variée de sports de combats. Dominique enseigne boxe française et anglaise. The UFC might be closer than ever to holding a show in New York again. Attorneys for UFC parent company Zuffa and the state attorney general’s office have agreed that a loophole in a law banning professional mixed martial arts in New York allows for third-party sanctioning, according to Fightline.com’s Jim Genia. In New York, amateur MMA is allowed, but pro MMA is illegal based upon a 1997 law banning the sport. That contradiction has been one of the major points in Zuffa’s lawsuit against the state. Attorneys for New York have conceded that because of the inconsistency of the law that MMA could be sanctioned under a third-party commission and not the state’s athletic commission. The judge in the matter has pushed both parties to settle. Most MMA shows in the United States are under the watch of state athletic commissions. The UFC has had to be its own commission in other countries that don’t have regulating bodies. Under the current law, the only body that would legally be able to sanction MMA in New York and has actually sanctioned past events in the state is the World Kickboxing Association, Genia reports. Zuffa attorney Tim Bellamy told Genia that the UFC would rather wait for the ban to be nixed entirely, but if third-party sanctioning is the only option right now, the organization would accept that. Bellamy also told Genia that the UFC would hold off on further action until the legislative cycle is over. If the bill repealing the MMA ban is passed, Zuffa would presumably pull its lawsuit. To clarify: UFC would be able to hold a show in New York State, but it would not be sanctioned by the New York State Athletic Commission. Another organization would have to sanction it. Not ideal, of course. But progress, for sure. "We'll take it," Bellamy told Fightline.com. "We'd rather have the state lift the ban and we go that route first, but we'll know in the next two months if that's going to happen." This is hardly a done deal and anything can still happen within the legal process. But steps are being taken in the right direction to get professional MMA shows in New York before the end of 2013. The state Senate has voted to legalize MMA the last two years only for Assembly Speaker Sheldon Silver to shoot it down before even letting it go to vote. There are positive signs that this year things will change. But lobbyists supported by the Culinary Union, a longtime rival of UFC owners Lorenzo and Frank Fertitta, have made serious inroads in Albany and are a big part of why MMA is still not legal here. UFC president Dana White has said that the company wants to bring a massive show to Madison Square Garden in November for its 20th anniversary. When he made the comment in December, it seemed like just a pipe dream. As it turns out, it could very much be a reality. The International Olympic Committee on Tuesday dropped a bombshell on the wrestling world, removing the sport from the Olympic program, knocking it out of the 2020 Olympic Games. Those core sports are: athletics, rowing, badminton, basketball, boxing, canoeing, cycling, equestrian, fencing, football, gymnastics, weightlifting, handball, hockey, judo, aquatics, modern pentathlon, taekwondo, tennis, table tennis, shooting, archery, triathlon, sailing and volleyball. Wrestling is now on a short-list of eight sports that can argue its case for inclusion in the Games, but it is unlikely that it would be readmitted so quickly after being removed from the list of core sports. The other sports vying for inclusion are baseball/softball, karate, roller sports, sport climbing, squash, wakeboarding and wushu. When the bomb dropped on the wrestling world, the shockwaves immediately hit those in the mixed martial arts world smack in the face. Wrestling is one of the core elements of MMA. Numerous successful wrestlers have made the move from the wrestling world to professional fighting: Daniel Cormier, Matt Lindland, Dan Henderson, Randy Couture, Mark Munoz, Cain Velasquez, and numerous others chief among them. As soon as the word spread, calls immediately went out to UFC president Dana White to be the savior, but considering what the wrestling world is up against, that’s not likely to happen. “I've been battling this problem for years now; colleges are dropping it, high schools are dropping wrestling,” said White following Wednesday’s UFC on Fuel TV 7 press conference in London. “It's an awesome base for fighting, for mixed martial arts, for everything. It changes people's lives. It's this grueling hard work and dedication, all the things that go in with being a wrestler. Therein lies the crux of the issue for the Olympics. While the Olympics were originally the ultimate platform for sports, like most other ventures in the modern age, it has become a multi-faceted money machine, largely driven by the bottom line more so than by the will to declare the top athletes in the world in their respective sports. That’s a key element of the IOC’s decision not lost on White. “Any sport, especially these days, it's about selling tickets and eyeballs and viewers and all these other things,” he stated, indicating that this could perhaps even be an opening for mixed martial arts to eventually find its way into the Games. It’s not that White wants wrestling to go away, far from it. Wrestling is a fundamental part of Olympic history – which makes the IOC’s decision all the more difficult for many to come to grips with – but it is also a core discipline of mixed martial arts. For White, however, the IOC’s decision wasn’t as surprising as it seems it was for many others. He has been bucking the trend of the waning popularity of competitive wrestling for years, understanding that it’s survival is important for the development of fighters. He seems less inclined to fight the changing tide, however, than to accept that competitive wrestling’s decline may just be an evolution of sport. “I can't be the guy to try and run out and save wrestling,” White declared. “Do you know how many wrestling programs I've funded over the last five or six years? A lot. I don't want to see wrestling go away either. Where it’s not going is the 2020 Summer Olympic Games, which will be held in Istanbul, Madrid or Tokyo. BUT THE PROBLEMS ARE ALMOST TYPICAL IN ALL - THE - SO CALLED "NATIONAL" MARTIAL ARTS AND COMBAT SPORTS. It was announced during the last FIAS Congress in Minsk (November 7th, 2012), that the President of FIAS, Mr. Shestakov had sent a FIAS application in order to achieve recognition by the IOC. My request from November 1st (attached) “to provide us a copy of such application” has remained without a response. 1. Emblem ‐ The first page shows an unapproved emblem of our organization instead of the one approved and registered in FIAS Statutes in Lausanne. 2. Executive committee ‐ Out of 18 members of the FIAS Executive Committee – 8 are representatives from Russia. Is this suitable for International SAMBO Federation? Compared to other IFs this is far from the norm. a warning of “suspension” from SPORTACCORD on the same matter. Moreover, the motherland of sport‐ the Russian SAMBO Federation has only 1,014 registered sportsmen (according to the Application), while according to Moscow SAMBO Federation only, the official statistics for the end of 2012 has 18,940 registered members! What is it, criminal negligence or deliberate action? should be 2012; however there were 14 participating countries (not 8). And there were 13 (not 5) participating countries in 2011.
a. There are 15 “registered participants” in India, however there were 200 participants in the National SAMBO Championships. b. There are 20 “registered participants” in South Korea, however there were over 160 participants in the National SAMBO Championship. c. The number of participants in the National SAMBO Championships of Japan, Jordan, Taiwan, Nepal, USA, Montenegro, Switzerland, Austria, UK, Croatia, Netherlands, Italy, Belarus, Latvia, Iraq, Lebanon, Thailand, China, Afghanistan, Iran, and Pakistan haven’t been mentioned at all. 7. Paragraph 11.2 – Web visits’ statistics represented only by a single website www.sambo.com, but totally ignores other existing sites: www.sambo.tv, www.sambospb.ru, www.sambist.ru, and many more. 8. Financing (paragraph 12) – This subject requires additional investigation. We all remember were promised by Mr. Shestakov to provide annual financing for the development of SAMBO in the amount of 10 million dollars. However, it is clear from the FIAS report that for the past three years 2010‐2012, it spent 970.378 Swiss Francs (which is approximately US$873,340 dollars), i.e. approximately $290,000 per year. This is almost 35 times less than what was promised to all of us. No one verified completeness and correctness of the report (since no one performed an audit of our financial statements), however a quick overview causes a lot of perplexity. For example, according to the report, the Pan‐American SAMBO Federation had received 53,612 Swiss Francs, however according to Dr. J.Kogan – President of AASF, they received $16,320 USD (approximately 18,000 Swiss Francs proven by documentation). Also, according to the text of the application “Russian VneshTorgBank” was the main sponsor donating $1,000,000 annually. The question is: Where is the money? 9. Ideology and Values (page 66) – reads “Fundamental values: “…Russian roots – means intellect, endurance, invincible spirit”. Completely wrong approach. SAMBO – is an international sport. And, in case Mr. Shestakov is unaware of SAMBO he should read through the description in Wikipedia. According to Wikipedia: “Professionals consider SAMBO as a synthesis of various martial arts”. This means that SAMBO is a multinational sport with roots and traditions going back to Georgia, Uzbekistan, Kazakhstan, Moldova, Japan, etc. This Application has been signed by one person – President of FIAS, Mr. V.Shestakov. If this is criminal negligence or deliberate action remains unclear. But what is clear is that such application will delay our attempts to be recognized by the IOC or could make it simply impossible. This contradicts the goals declared by Mr. Shestakov many times. And for this application is paid one million dollars? Wrestling FILA will be able top attend non-olympic World games in the future. My god. This IOC body is dead almost all the time and also at this tragic moment when Wrestling is thrown from Olympic regular (hard) core sports. - To much doping in wrestling? - Wrestling opened the doors to MMA sport so it was to dangerous? - Wrestling stopped MMA professional sport trying to make its own amateur version FILA, which was not very good friend of UFC? - Sambo has very serious internal problems which could also target MMA sport and rivalary about it. Don't forget that FILA wrestling also helped sambo to become Sportaccord recognised, firstly with inclusion in FILA - affiliated disciplines? - Did FILA helped to many martial arts in the past becoming IF? - Will MMA sport be presented in Rio Olympics 2016 as Brasilian Ju-Jitsu and later become Olympic sport instead of FILA wrestling? - Is Pharmaceutical industry interested in a big muscles promotor MMA sports? - FILA didn´t include wrestling in Sportaccord combat games 2013 - could it be this exclusion - another example of penalisation of FILA ignorance? - Are FILA wrestling dresses not the right visiual promotor of this wrestling sport? - Could be the tactique of IOC to make Sportaccord combat games as an example of new orientation - Olympics for martial arts. Now at the moment there are only 3 martial arts and combat sports on Olympics. With wrestling FILA exclusion this strategy would be an easy task with eliminating in the future very unpopular Taekwondo WTF and further very, very boring judo for TV spectators? Wrestling may be the world’s oldest sport, but it won’t be an Olympic sport after 2016. In a decision that surprised many, the International Olympic Committee retained modern pentathlon but dropped wrestling from its roster of 25 core sports. Wrestling was one of nine sports featured in the first modern Olympics in Athens in 1896; it was also part of ancient Olympics. While wrestling will join seven other sports in vying for the inclusion as an additional sport in 2020, it’s extremely unlikely the IOC would add a sport it just dropped, experts said. The board is more likely to choose one of the other seven sports up for consideration: baseball/softball, karate, roller sports, sport climbing, squash, wakeboarding and wushu. Americans have won 124 medals in wrestling, including four by women (freestyle women’s wrestling was added in 2004), more than any other country. Olympic wrestlers say they’ll fight for their sport. The IOC says its Olympic Programme Commission “systematically reviews every sport following each edition of the Games…in an effort to ensure the Olympic Games remain relevant to sports fans of all generations. Golf and rugby will join the Olympics in 2016. Photo: Jacob Stephen Varner of the United States in action against Valerii Andriitsev of Ukraine during the Men’s Freestyle 96 kg Wrestling gold medal fight on Day 16 of the London Olympics. Uknown man - nobody had ever seen him in savate demonstrate canne de combat and boxe francaise. Why always people which we never find in savate sport present our martial art? Weird Italian behaviour. One year in Italian kickboxing federation, again another year in FISav recognised Italian savate federation called FISA and at the same time cooperating with all "enemies" in Italian so called non-legal savate. But this is Genoa. Traders forever. Hungarian begginer in assaut coming from other combat martial arts. Still many things to learn about savate. 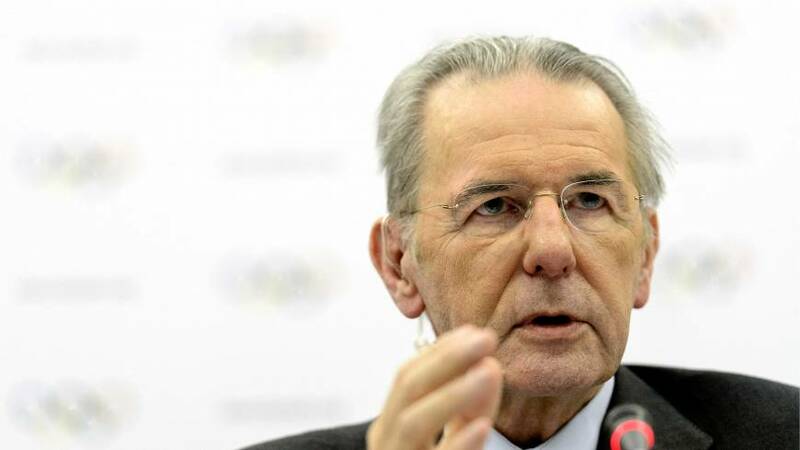 IOC: How many sports will remain in IOC till 2020 Olympic Games? Will all combat sports leave IOC? IOC will decide about future olympic core sports. Between February 12th and 13th the Olympic Program Comission, led by Italy’s senior IOC member Franco Carraro, will present a report informing the Executive Board with the core sport they suggest to cut from the 26 current ones. Then the OPC will propose the list of eligible sports to add in 2020 to the Executive Board during the SportAccord Convention, which will be held in Saint Petersburg (Russia) between May 26th May 31st. During the 125th IOC Session on Sept. 7th in Buenos Aires the delegates will vote for approval of both proposals by simple majority. - Universality of the sport at all levels: An Olympic sport must be truly global, offering equal opportunities to the population of a vast number of countries worldwide. - Media exposure: An Olympic sport needs to be followed for public in general and has to be able to catch TV’s interest. - Good governance: The International Federation of an Olympic sport must respect the IOC Charter and the autonomy of the Olympic movement in all its actions. The World Taekwondo Federation has done a lot during the last years to meet those criteria and the changes in Taekwondo games have been well noticed by the IOC. Therefore, especially after the successful Olympic Games of 2012 in London, WTF believes that there are good chances for Taekwondo to be one of the olympic core sports after 2020. COULD WE EXPECT SAVATE AS ONE OF TWO NON OLYMPIC SPORTS ON EUROPEAN OLYMPIC GAMES 2015, BAKU? athletes are expected to compete in 2015 in the first European Games. During its last General Assembly, held in Rome last December, the European Olympic Committee (EOC) gave green light to the creation of the European Games, which will take place every four years and will have Taekwondo as one of its main sports. The decision of the EOC ends several years of debate, with the motion passing with 38 votes in favor, eight against and three abstaining. Baku, capital of Azerbaijan, was the sole candidate city to host the first Games, scheduled for 2015 and which will always be celebrated in the year preceding an Olympic Games. are currently in place on other continents, such as the Asian Games and the Pan-American Games. The four – yearly event will include 15 of the 28 summer Olympic sports, plus two non – Olympic sports, which have not been selected yet. already have contractual obligations to honour. Taekwondo will be a part of the newly established European Games in 2015. The European Olympic Committee (EOC) gave green light to the creation of the European Games, which will take place every four years and will have Taekwondo as one of its main sports. Baku, capital of Azerbaijan, will be the host city of the first Games, scheduled for 2015 and which will always be celebrated in the year preceding an Olympic Games. The first European Games will be very much a trial and test run for a huge event in 2019. They should become a qualifier for the Olympic Games in 2020 for certain sports. Up to 7,000 athletes are expected to compete in 2015 in the first European Games, which is seen as an answer to other Games which are currently in place on other continents, such as the Asian Games and the Pan-American Games. The four-yearly event will include 15 of the 28 summer Olympic sports, plus two non-Olympic sports, which have not been selected yet. Archery, badminton, boxing, canoeing, fencing, handball, judo, rugby sevens, shooting, Taekwondo, table tennis, triathlon and volleyball seem to be confirmed in the calendar for Baku 2015.
says doping should be legalised for professional athletes. to Oprah Winfrey in an earlier recorded interview, in New York, USA, 17 January : photo - EPA PETER FOLEY. The 45 year-old boxer told the regional Dziennik Polski newspaper he believes that doping should be made available to professional sports people as it “aids recovery” but not for amateurs in the gym, “who don't know what they are taking”. Saleta said, in the wake of the Lance Armstrong confession on the Oprah Winfrey show, that “only the dumbest and poorest” athletes get caught and that the current rules do not create a level playing field and favour richer athletes. “It all comes down to whether or not someone has the money to have access to [drugs] that are undetectable. […] One example is China, where sport is sponsored by the state and there are no financial constraints. The result? Chinese athletes do not get caught,” he claimed. Saleta said that doping in controlled circumstances should be allowed as it is not a threat to health. “I'll give the example of cyclist Lance Armstrong, who doped for years. I guarantee that he will not have had any side effects and will not pay for this with his health. In fact, I would even say that in sports like cycling, doping is healthier. The body regenerates faster and is able to bear the strain [of competition and training] better than a diet based only on natural products, which simply cannot not handle it,” he said in remarks that will cause controversy in Polish sport. The former European heavyweight champion is in training for a fight with Andrzej Golota next month, where both boxers are coming out of retirement for one last pay day. Saleta, who has pursued a mixed martial arts and media career since 2006, says that doping is no excuse for hours and hours of training, however. “Doping does not guarantee success: that only comes with hard work,” he claimed, adding that taking performance drugs is “human nature, in that if [an athlete] can get an advantage over an opponent then he will take it”. “What scares me about doping is its popularity among teenagers and the ignorance of the subject. Doping is probably available at any gym, and most teenagers do not know what to take and what is harmful. They do not know that the side effects can be devastating [and] they will pay for it for life”. Polish boxer Mariusz Wach tested positive for anabolic steroids after losing on points to World Heavyweight Champion Wladimir Klitschko on November 10 last year in Hamburg. Saleta says that steroids are “not actually helpful” for heavyweight boxers as they create “unnecessary ballast, which influences speed and even coordination”.